Employment law solicitor Richard Grogan of Richard Grogan & Associates writes for Irish Legal News following a landmark ruling from the Court of Justice of the European Union (CJEU). This may sound like a strange heading. However, the CJEU’s decision in case C-378/17, Minister for Justice and Equality, Commissioner of An Garda Siochana v Workplace Relations Commission, has completely and totally reversed our understanding of employment law and how it will apply in Ireland. We have written about the judgment in case C-684/16, which was recently issued on 7th November and indicated to employment lawyers that various claims would have to be brought to the High Court because the Directive had not been properly implemented and that the CJEU had effectively provided that these claims have direct effect against private employers. This was ground-breaking for any employment lawyer in Ireland. However, the decision which has been issued now under case C-378/17 is even more profound. This case has determined that the principle of primacy of EU law must be interpreted as precluding national legislation, which in this case was the employment equality legislation prescribing that the WRC (and automatically by implication the Labour Court) lacks jurisdiction to decide to disapply a rule of national law that is contrary to EU law. The effect is that the WRC and the Labour Court now will be obliged as of Tuesday 4 December to disapply Irish legislation and apply EU legislation. This will apply in all cases against private employers, certainly under the Organisation of Working Time Act, where there is also a treaty provision. This is a sea change in the law as it applies in Ireland and across all 28 EU countries currently. It means that the WRC and the Labour Court will have the same jurisdiction as the High Court. There are difficulties. The Labour Court would have the right to refer a matter to the CJEU or to the High Court to get an interpretation on a particular piece of legislation. This will not apply in the WRC as they do not have this power. The WRC was not set up as an entity which would have the power to disapply Irish legislation. It was set up on the basis that it would have to follow decisions of the High Court and the Labour Court. Now it will be in a position as being the body of first instance where challenges to Irish legislation not complying with a Directive will be heard. This changes the WRC from what was intended to be a cheap and simple system for anybody to use, whether represented or not, into one where there are going to be some of the most complex legal arguments that could possibly apply. The resources as regards to access to referring cases to the High Court or the CJEU are not there. The resources for having access to specialists in the area of EU law, the interpretation of legislation, possible constitutional law issues and a myriad of other matters have not been provided for. There is going to have to be significant retraining of Adjudication Officers. This is a significant cost. They are now going to be taking on roles equivalent to that of a High Court judge as regards the interpretation of legislation when it comes to a Directive being properly transposed into Irish law. This decision has far greater impact than just the area of employment law. It will apply to any quasi-judicial body established in the State. However, there is a problem with the WRC. The WRC is an inquisitorial entity. This means that even if an issue relating to the proper transposing of a Directive into Irish law is not raised, the person hearing the case will have to effectively look at every piece of legislation which derives from a Directive to see if there is an issue. This will not apply in the Labour Court, as the Labour Court is an adversarial process. The legislation is quite different for both the WRC and the Labour Court. In the Labour Court, unless the issue is raised they will not need to address the issue. This creates huge additional costs and requirement for resources in the WRC. Immediate action is going to be needed by the Department of Business, Enterprise and Innovation to address this new jurisdiction of the WRC. Significant additional resources by way of personnel and backup is going to be required as a matter of urgency. Because of other Decisions which have issued by the CJEU, the WRC is now going to be left open to claims for compensation by employees and probably also employers if matters are not disposed of very quickly. This is a huge challenge for the WRC. It is a huge challenge for employment solicitors and those who practice in the area of employment law. The whole jurisprudence of our court system has effectively been turned on its head by one Decision from the CJEU. This issue is going to be one which will need significant input, from solicitors, barristers, the WRC, the Labour Court and the judiciary, I would expect, over the coming weeks and months. This new decision will create turmoil, at least in the short term. 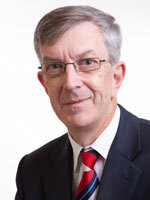 Richard Grogan is the principal solicitor at Richard Grogan & Associates Solicitors. You can subscribe to the firm’s monthly newsletter at grogansolicitors.ie.